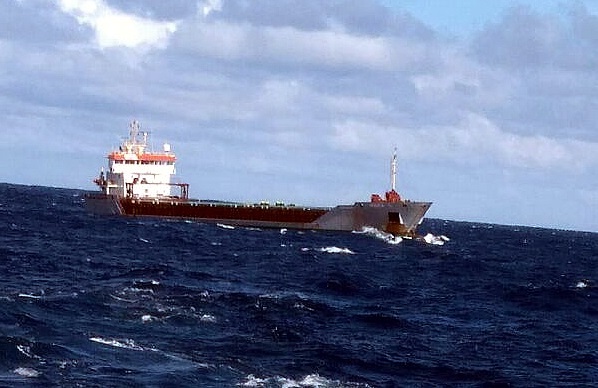 The general cargo ship Minka C suffered engine failure and lost propulsion power during storm in Bay of Biscay on 50 nautical miles north off A Coruna, Spain. The vessel was carrying 4,000 tons of coal, bound from Szczecin to Brens, but lost propulsion power and blackout and blocking of the aggregate. The crew was unable to repair the engine problem and reported the accident to the local authorities, requesting immediate assistance due to bad weather and heavy seas. At the scene of the troubled freighter was sent tug Ibaizabal Diez from Bilbao. The general cargo ship Minka C was taken on tow to A Coruna, where will be repaired and inspected by the local authorities, before allowed to return in service. Fortunately during the accident there were no reported injuries and no water pollution. The investigation for the root cause of the accident is under way. The general cargo ship Minka C (IMO: 9373565) has overall length of 98.00 m, moulded beam of 14.00 m and maximum draft of 6.00 m. The deadweight of the vessel is 5,000 DWT and the gross tonnage is 3,391 GRT. The freighter was built in 2008 by Construcciones Navales Freire in their shipyard in Vigo, Spain and operated operating under the flag of UK.